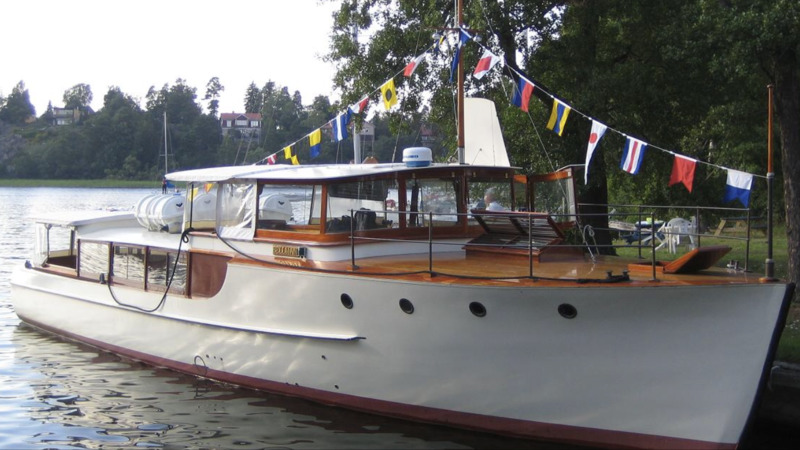 BELLMAN was built in Flottsund in 1938 and is designed by the well-known constructor C-G Pettersson. 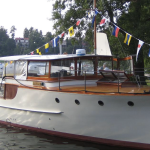 The characteristics of C-G P were sleek and straightforward motorboats with a high, straight stern. But this enterprising man drew all kinds of ships, from canoes to cargo ships. After many years of decay, BELLMAN has now been carefully renovated to maintain its mark of the 30's and old-fashioned charm. BELLMAN is, thanks to its well thought out furnishings, suitable for both large (73) and small (15) parties. 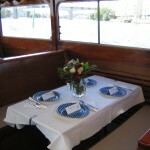 In the lounge/aft deck up to 44 guests can be served breakfast, lunch or dinner. 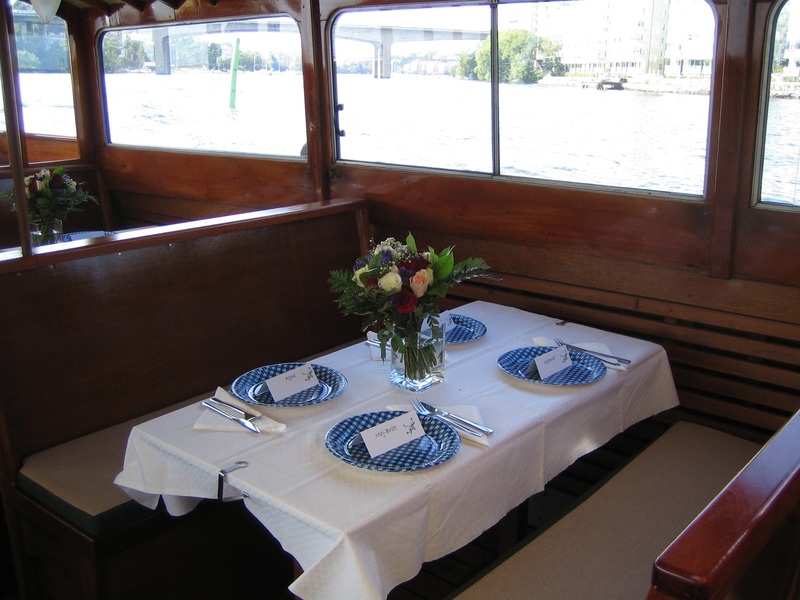 We often suggest a buffet to our guests, as we have limited opportunities to cook food on board. Together with you we create the menu and choose the drinks that are best suited. It is equally important for us and for you that the overall experience should be something extraordinary. For transports where only drinks and light snacks are served, parties up to 73 guests can stay on board. 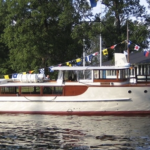 BELLMAN is also ideal for those who want to combine a conference with a lovely day in the archipelago. 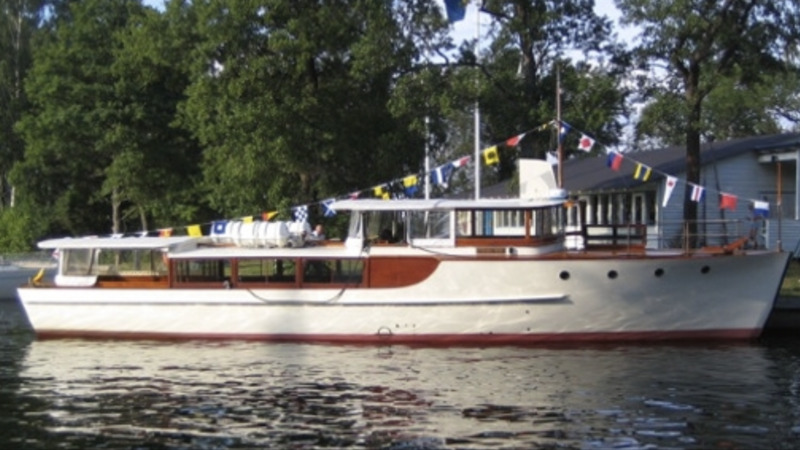 BELLMAN is a "classic" that offers both friends, family, corporate groups and wedding guests an experience of genuine wooden boat! 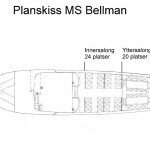 All prices are counted from our home port on Strandvägen, Kajplats 21 in Stockholm (minimum charge 3 hours). 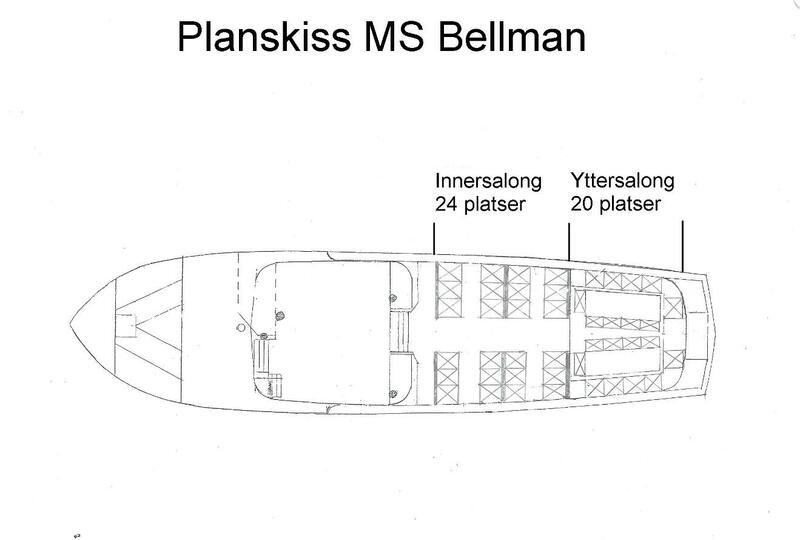 Boarding and disembarkation can of course take place where the customer wishes. Ship rental 3 hours 15,000: -. Ship rental 4 hours 18,000: -. Ship rental 5 hours 20,000: -. Ship rental after 5 hours 4,000:-/hour. Idle time/empty run time 2,500:-/hour. Preparation time at home quay 1500:-/hour.